How many times do you feel overwhelmed by the constant noise surrounding your life? It can be difficult to focus on what really matters when you are consistently distracted by the white noise. It’s important to take time for yourself and be in your own space to give yourself the luxury to stop and step away from the hustle and bustle of work and create a positive work/life balance. Working from Inspire Cowork, it allows me to be in a collaborative work environment, but at the same time, it provides me with many opportunities to step away and have some time to myself. Working locally also helps with my work/life balance as I am not commuting 3 hours a day to and from the office. It gives me the opportunity to spend time with my family. I work out of the coworking space 3 times a week and I love the mornings I have with them. There is nothing better for your mental health than spending stress-free time with your kids in the morning. The day starts off right and the positive vibes flow throughout the day. Working in the technology sector it’s very competitive and my work never stops. I can take my work anywhere with me so it is so important for me to consciously make the decision to take a time out. This allows me to focus on myself and my family. It also positively benefits my work as I have time to clear my mind and think creatively when I am back at the computer and in business mode. 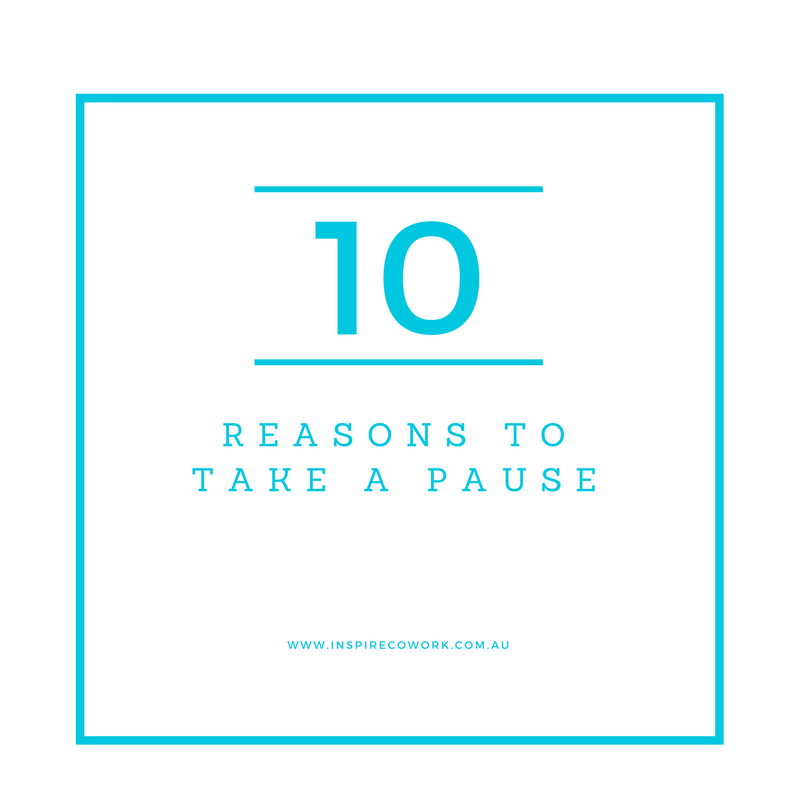 It really isn’t easy to take time away from your work, particularly when it’s your own business. I have forced myself to make it a habit, where I take the opportunity to take a time out when it presents itself. You also need to ensure you are planning your time outs, whether it be a family holiday or a simple night at the movies, you need to give yourself that time. Taking time out is a critical and valuable part of creating results that you really want in your life and your business. It allows you to inflict positive change in your life and gives you a renewed energy for your work. If you are in the Sutherland Shire and looking to work locally, come and say hello at Inspire Cowork. We are a short stroll from Westfield, Miranda and have great locally sourced White Horse coffee. I look forward to meeting you.